We've gotten to the point where we don't need too many new tools. Would we like some more? Of course. But where would we put them? But sometimes we wear out a tool and have to replace the thing. That's what this section of our website is for. Here we'll talk of the old tool, the new one, and how they compare. We'll even throw in some talk about why we chose the tool we did and if we're happy with it. Since we've recently expanded our shop space, we have room for more tools! Funny how that works sometimes. But we've also discovered that acquiring tools is not nearly as gratifying as using them. So we've adjusted our approach and spend more time in the shop than money at the store. Our trusty old Delta table saw gave up on us a few months ago. We were under a pressing construction deadline so went out to buy a new replacement. 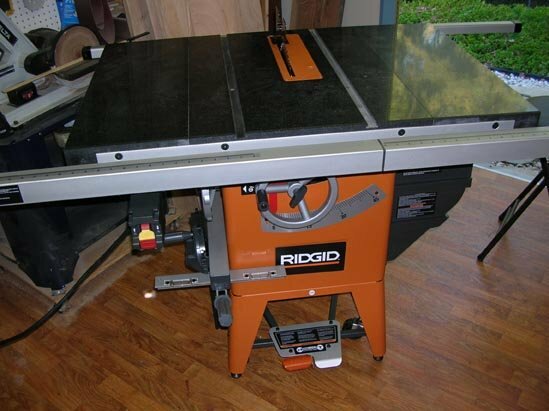 The local Home Depot had the R4511 Ridgid granite-top table saw on sale. It fit our need and budget, so we bought it. We've since learned that this particular model was a top pick on other woodworking sites. Cool. Also learned there was a recall for a faulty arbor when using a dado setup. Not so cool. But ours is OK. Cool again. Assembling this tool took a few hours but was certainly straightforward enough for us average folks to handle. Overall, the saw performs as directed. While spending hundreds of dollars on a tool is not to be taken lightly, the performance of the R4511 confirms the wisdom of this purchase with each use. 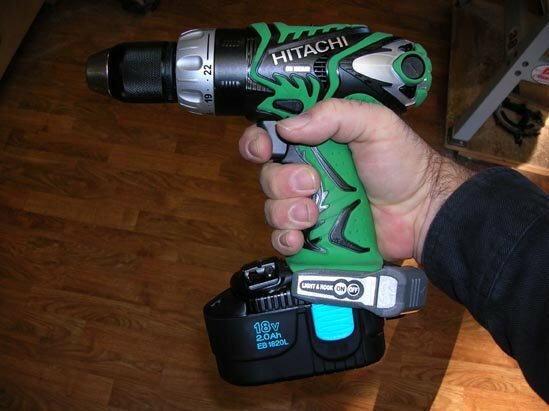 We needed to replace our older cordless drill and decided upon a Hitachi DS18DMR. The cool green/black/grey look suits us. Beyond that, it's an 18V torque monster with quick-charging batteries that performs as it should. No complaints thus far.